If you thought Jeff Bezos' foray into the world of media past would distract him from moving forward with his more modern, web-based ventures, think again. 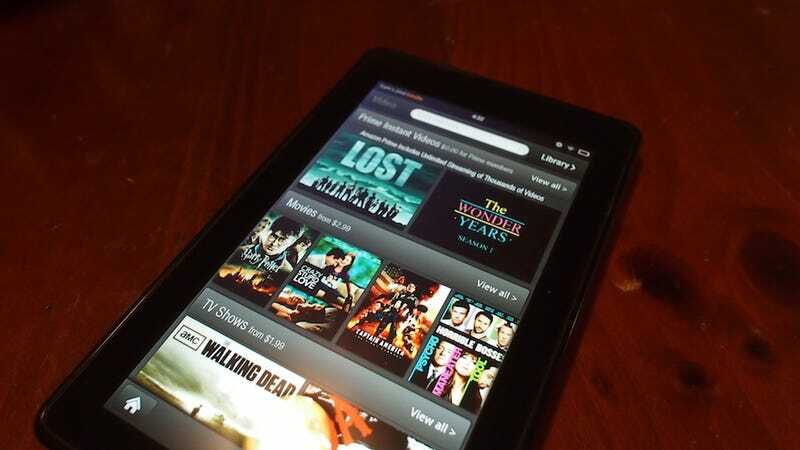 Amazon has just announced that its new line of Kindle Fire HDX tablets will let users download Prime Instant Videos for free(!) offline viewing—something no other streaming service has done thus far. Once Prime users download TV or movie content, they'll have up to 30 days to start watching, at which point they'll have another 48 hours to finish. Though this is undoubtedly fantastic news for any Prime and Kindle devotee, thanks to some rights-owner-holdouts, only a subset of the current Prime Instant selection will be available for now. So what exactly does a "subset" entail? Amazon has yet to lay down specific numbers, but they will say that the offline-viewing feature sill apply to "tens of thousands" of TV shows and movies.